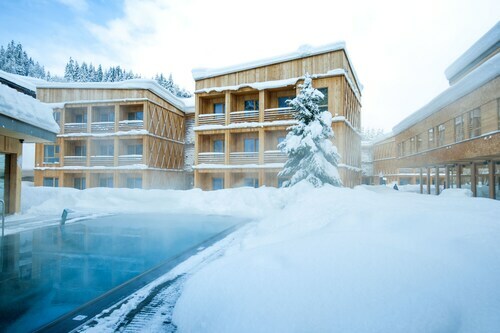 Situated in a rural location, this spa hotel is within 9 mi (15 km) of Woergler Waterworld, Riedel Glas, and Hohe Salve Cable Car. Hochsoell Cable Car and Salvenaland Amusement Park are also within 9 mi (15 km). Kirchbichl Station is 23 minutes by foot. Located near the slopes, this Brixen im Thale hotel is in the mountains, 1 mi (1.6 km) from Hochbrixen Cable Car and close to winter activities such as cross-country skiing and skiing lessons. Aaart Foundation is 2.5 mi (4 km) away. Located in the mountains, this ski-in/ski-out hotel in Ellmau is within 6 mi (10 km) of Hartkaiser Gondola and Astberg Ski Lift and close to winter sports such as skiing lessons and snow tubing. Hintersteiner See Lake and Hahnenkamm Cable Car are also within 16 mi (25 km). Situated in Kufstein, this hotel is within a 10-minute walk of Roemerhof Alley and Kufstein Fortress. Riedel Glas and Hecht Lake are also within 3 mi (5 km). Kufstein Station is 6 minutes by foot. Situated in Soell, this hotel is 1.5 mi (2.5 km) from Hochsoell Cable Car and within 9 mi (15 km) of Brandstadl Cable Car and KaiserBad Ellmau. Hohe Salve Cable Car and Hintersteiner See Lake are also within 9 mi (15 km). Conveniently located near the ski slopes, this Alpbach hotel is in the mountains, within 2 mi (3 km) of Alpbach Valley and Wiedersbergerhorn Cable Car, and close to winter sports such as skiing lessons. Ski Jewel Alpbachtal - Wildschoenau is 1.9 mi (3.1 km) away. This family-friendly Ellmau hotel is located in a rural location, within 1 mi (2 km) of Bergdoktorhaus and Hartkaiser Gondola. Astberg Ski Lift and Brandstadl Cable Car are also within 3 mi (5 km). 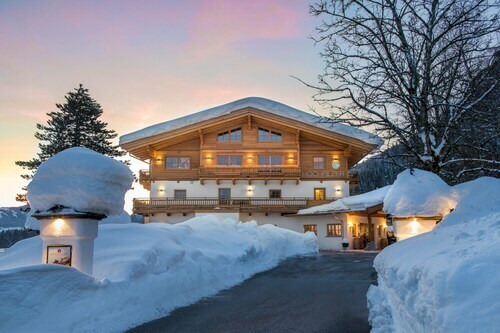 Set amidst the mountains, this ski-in/ski-out apartment building in Scheffau am Wilden Kaiser is 0.9 mi (1.5 km) from Brandstadl Cable Car and close to winter activities such as cross-country skiing and skiing lessons. Hintersteiner See Lake and KaiserBad Ellmau are also within 3 mi (5 km). 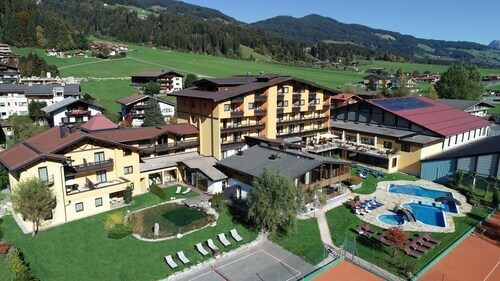 Conveniently near skiing facilities, this Westendorf hotel is located in the mountains, within 3 mi (5 km) of Alpenrosen Cable Car and Hochbrixen Cable Car, and close to winter sports such as cross-country skiing and skiing lessons. 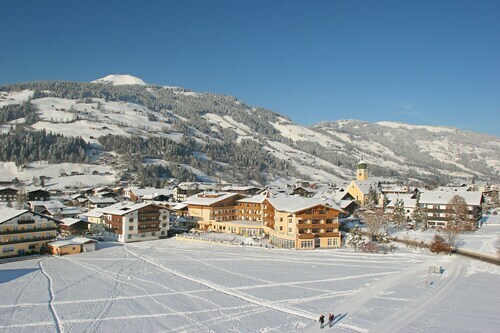 Hahnenkamm Ski Area and Kitzbueheler Horn Ski Area are also within 12 mi (20 km). Westendorf Station is 19 minutes by foot. How Much is a Hotel Room in Kufstein? Hotels in Kufstein start at $83 per night. Prices and availability subject to change. Additional terms may apply. If you're thinking about getting to know the Tirol area and need a place to stay in Kufstein, you have an extensive list to choose between. If you are after accommodation within a 6-mile (10-kilometer) distance of the center of Kufstein, Travelocity's up-to-date database features no less than 28 hotels and apartments in that area alone. 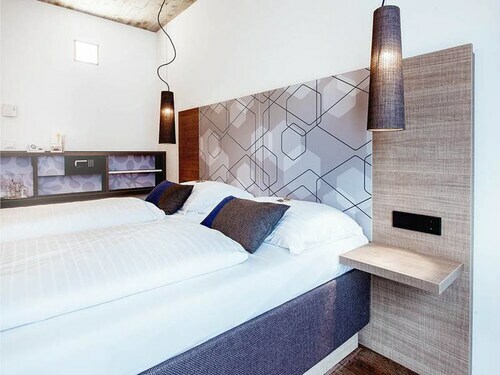 If you and your traveling partner are looking for a hotel that's within an easy walking distance from the middle of Kufstein, Hotel Stadt Kufstein and Boutique Hotel Träumerei #8 Auracher Löchl are worth checking out. The Hotel Sattlerwirt, Hotel Goldener Loewe and Hotel Schlossblick are excellent accommodation options for travelers who are after economical hotel accommodation. 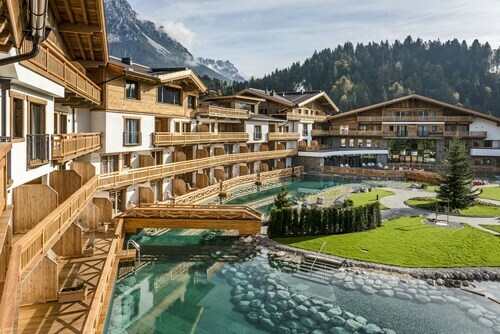 Check out the Tennerhof Gourmet & Spa de Charme Hotel as well as the Kempinski Hotel Das Tirol. The Tennerhof Gourmet & Spa de Charme Hotel can be found 14 miles (23 kilometers) outside of the middle of Kufstein. The Kempinski Hotel Das Tirol, is 18 miles (30 kilometers) away. 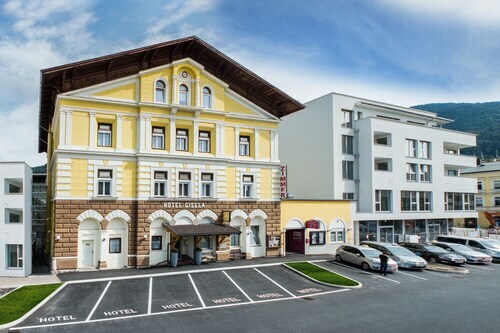 The Grand Tirolia Kitzbühel along with the Zur Tenne Hotel are alternative hotel options in Kufstein. If time permits, adventurous explorers should visit other parts of Tirol. Enjoy Tirol's rivers, streams, lakes and mountains. In addition, you should venture through a few of the region's castles and old towns. Modern travelers in this pocket of Austria enjoy snowboarding and skiing. Seefeld in Tirol is 45 miles (76 kilometers) to the west of Kufstein and features Seefelder Spitze and Reither Spitze. 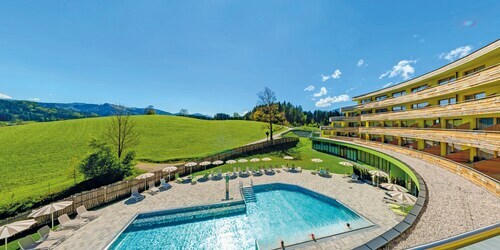 A few Travelocity-listed Seefeld in Tirol hotels include the Hotel Klosterbraeu and Astoria Relax & Spa Resort. Or, you could consider staying in Kitzbuehel, 14 miles (23 kilometers) to the southeast of Kufstein, where you'll find the Hotel Kitzhof - Mountain Design Resort and Hotel Schwarzer Adler Kitzbühel. When you visit Kitzbuehel, don't miss the Aaart Foundation and Wildpark Aurach. Make sure you get your serving of local sport with a voyage to Bergisel Ski Jump, which is located 40 miles (68 kilometers) to the southwest of Kufstein. And travelers hoping to find Travelocity-listed hotels near to the sporting action should choose between the aDLERS Hotel or the Weisses Rössl. W.A. Mozart Airport is located 40 miles (67 kilometers) away from Kufstein's downtown. Should you choose to find a close base can find a good option in the Laschenskyhof or the Sheraton Grand Salzburg. Close to train station and bus stop, old town across the river, great breakfast, spacious and clean room, newly renovated bath room, firiendly owner and staff. One thing though, we didn' ask for a guest card and missed out on a big discount on the bus fare.